Diode TV20 1300V Diode ITT TV20 with maximum reverse voltage 20000V and maximum direct voltage 50V. Diode Д1009 2000V, 100mA Diode Д1009 2000 V 100 mA. Diode Д1011А, 500V, 300mA Diode Д1011А. Ultra High Frequency Diode ДКС-2М Lc Ultra High Frequency Diode ДКС-2М Lc. 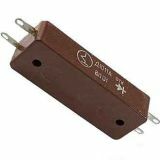 Ultra High Frequency Diode Д403Б-CB4 Ultra High Frequency Diode Д403Б-CB4. Application for UHF converters. 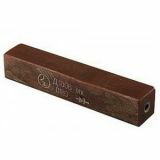 Diode Д401-CB4 Pm- ultra high frequency Diode Д401-CB4. Diode KYX 28/15, 15000V, 2mA, rectifier Diode KYX 28/15, rectifier with high reverse voltage rating of 15000 V and nominal current 2 mA.